My notes, links and random tips for the hikers and backpackers of the world. 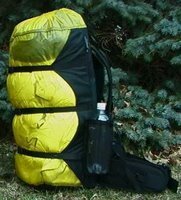 I smaller and lighter version of the Katahdin (a lighter version of the one pound pack). Found in the August 2005 issue of Backpacker. There is a new class of thru-hikers that set out to walk every street of a major city as there goal. Some "trails" include San Francisco (850 miles of treets, alleys and steep staircases), Sydney and New York City. in diameter (3 centimeters) at the rope point. a loop of rope near the bag for retrieval. To retrieve the bags, hook the loop of rope with the stick and pull it down. Remove the bag and then lower the first bag. A ready made one pound pack! 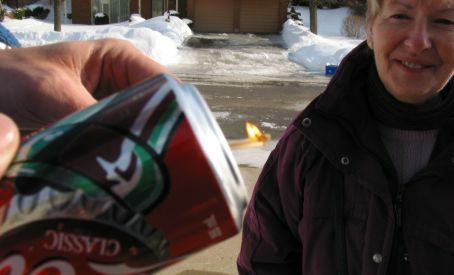 Trick to start a fire and stay alive. 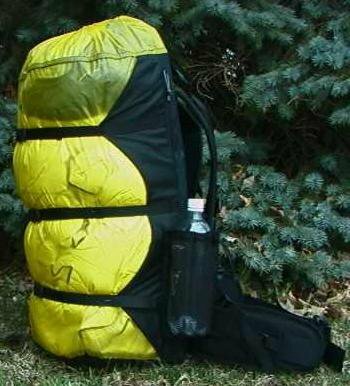 You can save a lot of weight and money by making your own DIY Backpack. Animated Knots, Knotting Dictionary of Kännet, and UK Scouting Resources. 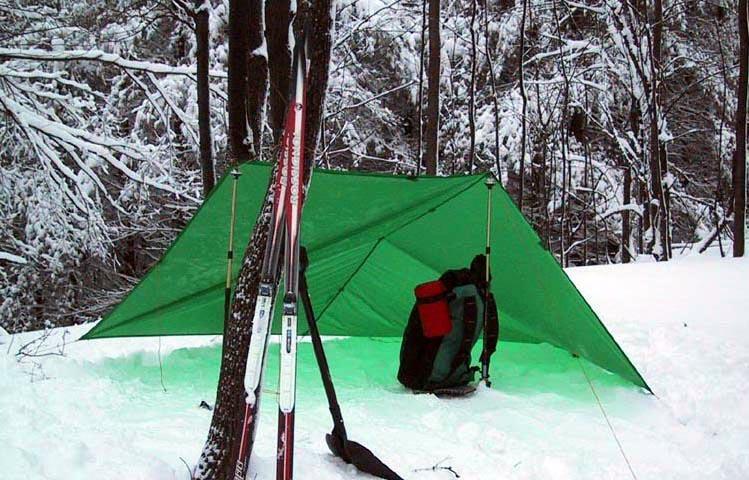 Tarp Camping 101 gives a copule of pointers on how to live under a tarp in the woods. SGt Rock shows you all the ways to set up a basic tarp. Make a cheap portable espresso machine out of PVC pipe and a caulk gun. 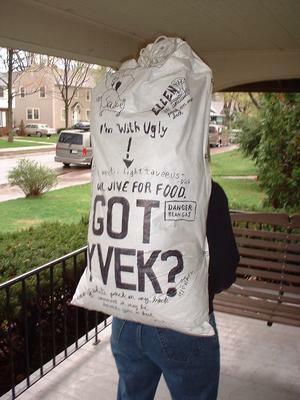 Tyvek is a lightweight noisy waterproof fabric that pretty durable. It can be used to make ground cloths, tarps, stuff sacks and even backpacks. Zen Bacpacking Stoves talks about all kinds of backpacking stoves - even ones I've never heard of. I'm now just getting started on reading thorugh all of the stuff an there. There is indepth information on the global differences between the many types of stoves and tells you how they work and even how to make several differnt kinds of stoves. Penny has some Tips and Techniques For Sewing Your Own Outdoor Gear. Just got some odd email today. There have been an average of 160,000 troops stationed in Iraq during the last 22 months. During this time the firearm death total was 2,112 for a firearm deathrate of 60 per 100,000. Ever wonder where people get their info? Where did they get 2112 dead from firearms? Last I heard there were a little over 1500 KIA and not all those were contributed to firearms. 2112 dead in 22 months comes out to 1152 per year which comes out to 720 per 100,000 if there is an average of 160,000 people there. The DC rate of 80.6 per 100K quoted comes up in wikipedia.org and might be resonable given some of their references. Anyways - just thought that was an odd email. Here I am entering the world of blogging. I love to hike, the environment and all things outdoors.